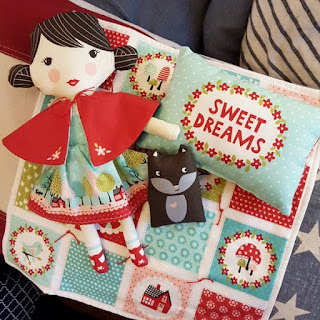 My Quilt Infatuation: Fabric Enabling and Three Giveaways! What a great post filled with lots of deals! 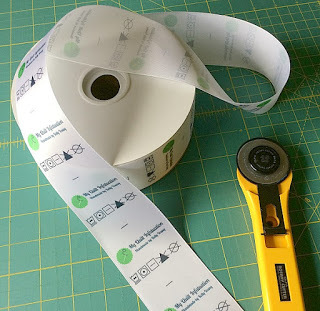 The particular item that caught my eye is the one where you ordered your labels, from Finer Ribbon. You've added a super tip on how to order the text from side to side. I've been thinking about ordering different labels for myself and these are perfect! Thank you! 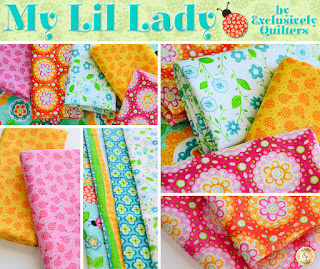 I love Shabby Fabrics'collection My Lil Lady, so colorful! But I really love your labels from Finer Ribbon too! Ooooh...pretty fabrics. I think Lucky Star is my favourite, as well as the Finer Ribbon labels. OMGosh, I'm now drooling after going to those links! The Hello Darling collection has me feeling faint. Thanks for the chance! 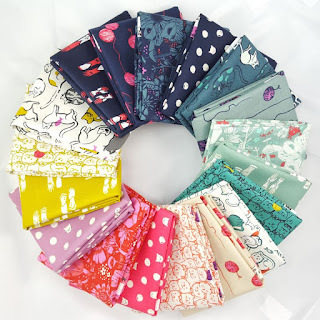 I browsed around LouLou's and am so excited about their sale section- there's several fabrics there that I've had my eye on! Thanks for the heads up! Great giveaways! The labels have caught my eye. Thank you for the chance to win. All are great giveaways. But the gift certificate to FQS would sure allow me to get a few of the items on my long Wishlist. Thanks! LouLou's has Sodalicious by Emily Herrick on sale. I can taste Willy Wonka's Bottlecaps candy and feel the fizz of an orange soda in my nose when I look at that line of fabric! I would love to get some C+S cat lady! Love the Cotton and Steel collection and the labels are just lovely. Have to get some of those! Love that SoHo Calico. They just feel fresh and sunny, the perfect antidote to January! 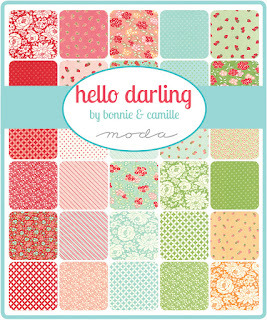 Love this Hello Darling from Fort Worth Fabric Studio! And such beautiful labels! Lil' Red looks so sweet. I know someone who would like that. Lady Bella Frabics Strawberry fields revisited and Fort Worth Fabric Studio. Oh my, those labels are such a great idea!!! Love them!! Thanks for the giveaway! Such a big post with lots of deals. 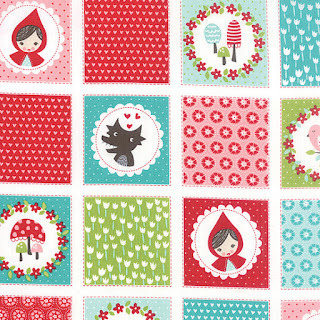 I actually like the lil red lady fabric...would be great for my daughter! I do love those labels. I was also looking at the modern country fabrics...love the modern country stripe. 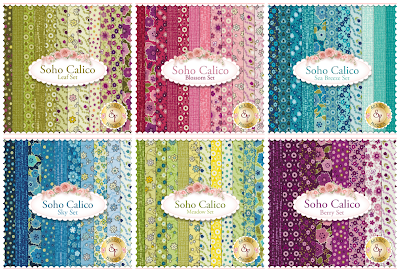 Oh, those Soho Calicos look like wonderful prints, love those rich colors! I never say I won't buy new fabric, I only have a goal of using up more than I buy in a year. Most years I don't make it, LOL!! Cotton and Steel cat lady is on my radar - I would love some of this for a quilt for my daughter! thanks! I love everything here, but those labels are just fabulous! I'd love to have some myself! Thanks for the giveaway; so generous! You weren't kidding about fabric enabling! SOOOO much goodness in this post! Lately I've been loving everything Corey Yoder (@lmshabby on IG) touches! She has an amazon eye for color. 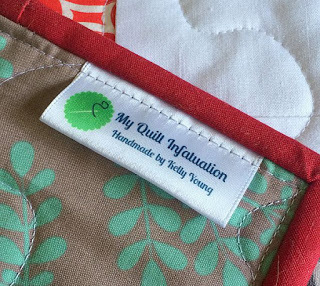 I have been looking for labels for my quilts, so the labels really caught my eye! Thanks for sharing about them on your blog! I would most certainly make use of the label certificate. Thank you so much for the opportunity! My Lil Lady looks bright and fun. I love the looks of the My Lil Lady collection and the labels, oh how I'm wishing for some of those! I love your labels! I ordered some from a different company and they are ok but they do not make me smile. :-( I also love fat quarter shop. They are amazing every time! Oh, those photos of the Soho Calico colorways are delicious! Let's see I love the labels but I really love Shabby fabrics. Always great things there. I love those labels! I especially like the idea of having the laundry info right on the quilt. I give my recipients a piece of paper with instructions, but a sewn-on label can't get lost so easily. Great idea! 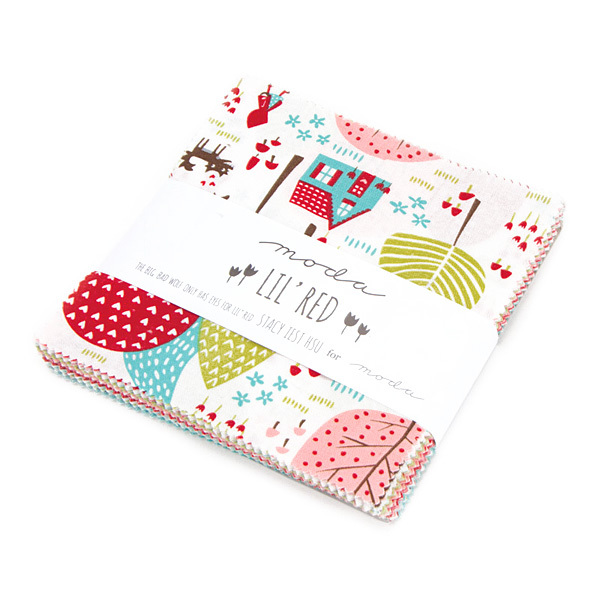 The Lil' Red fabrics are gorgeous!!! I'm crazy about 4th of July, so Lucky Star really is tempting. Then again, Hello Darling and My Lil Lady are so sweet and colorful. I can't resist anything with cats, so Cat Lady is a good one. But I drool over Strawberry Fields Revisited. The labels are great, I have to look into those. And finally, I totally agree "when amazing fabric is available at an amazing price, it is fiscally irresponsible to NOT take advantage of it." 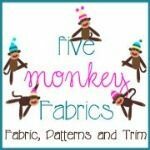 I have purchased from Five Monkey Fabrics. Awesome service and good quality fabrics. I would love some labels for my quilts. I would love the Gift Certificate to the Fat Quarter Shop. All your giveaway items are awesome, but there is nothing like picking out a little of this and that. 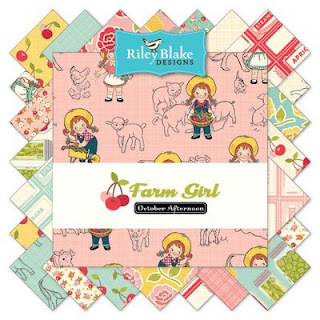 These are great sponsors, just ordered from Shabby Fabrics and Lady Belle recently! I think the labels are super, might have to get these. So many great on-line shops to check out! I love the look of those Soho Calico prints. Thanks for the great recommendations. Li'l Red caught my eye as I love making children's quilts for donations. 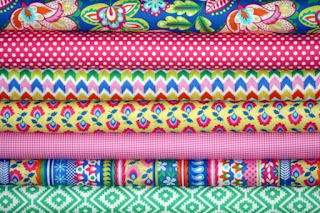 Shabby Fabrics and FQS are my go-to online quilt shops, I can always find what I want at one or both, and both have great service. Having to choose, today I would like a gift certificate to FQS. I think all 3 prizes are great. Thank you to Fat Quarter Shop, Finer Ribbon and Fort Worth Fabric Studio. Any of the prizes would be put to good use. Amazing give away! I like the Five Monkeys fabric and the Littlr Red is darling! Wow! All that yummy fabric! Thanks for the chance! I especially need the labels, I guess! Pretty fabrics all over the place! But my memory was jogged with the last post about Finer Ribbons. I spent a couple of hours cruising through their site a few months back after you had mentioned them. Didn't order then, but certainly will now. Love those labels, and their ribbon prices are awesome. Great fabrics, but I really like the labels. Wow am I glad I made no such vow, though probably should have. Lots of eye candy. I've been thinking about some labels for smaller projects so these would be great! You are an enabler! 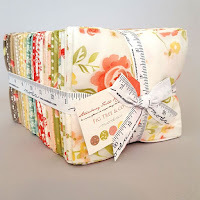 I'm always so tempted when I get a newsletter from Shabby fabrics--they make everything look so cute! The labels are an awesome idea too! That Lil' Red collection has caught my eye, also the Holiday Wishes book! I look forward to exploring the sponsors you've highlighted and appreciate the discount codes! seeing this i am having to fight fabaric buying overload. thanks for sharing. Gosh I think I made I a silent resolution to slow down fabric buying for 2016 but I have already blown that silent thought this year. Who doesn't like a great sale. All of the offerings are just great and my eye is on the labels. Fabric I have, labels i don't. recently bought a Friday bundle from Fort Worth Studio - yellows and was not at all disappointed. they had a sale on Kona solids and I threw a trio of those in my cart as well. Shabby Fabrics and Fat Quarter shop are also my go to's. Oh my goodness, I like it all! 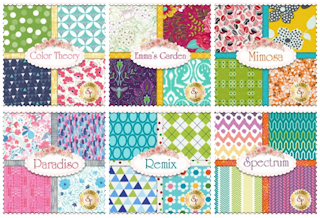 Beautiful fabrics like Remix and Mimosa and the labels -- I really want to get some labels! It's all eye-catching! 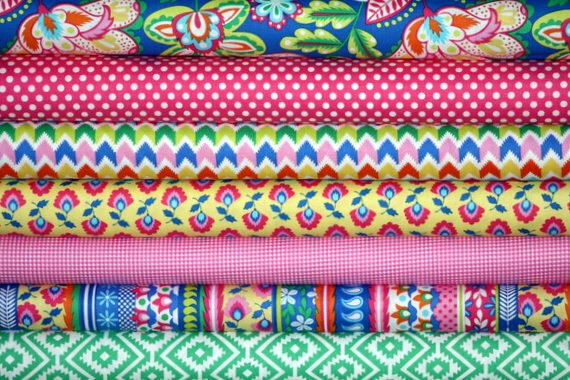 These beautiful fabrics are just the thing to brighten a dark and cold winter. I especially like Soho Calico. Thank you and your great sponsors. All the fabrics are lovely and cheerful. Fig Tree's Strawberry Fields Revisited is my favorite; Cotton and Steel Cat Lady is another favorite. Thanks so much. Wow!That's a lot of quilty deals! I really need some of those labels, I'm so glad you mentioned them! Wow, great products! I'm in love with the a Hello Darling and Lil' Red. Thanks for the chance to win. 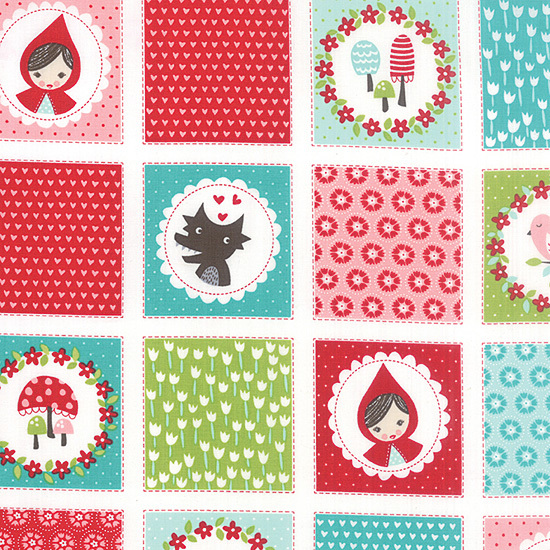 I'm totally crushing on the Lil Red fabric, but due to my own fabric buying ban, I've resisted so far! Oooooh...what wonders abound!!! I'm so stoked that FWQS has REMIX on sale-that is my favourite Anne Kelly collection...and yes, their sale section is totally amazing!! I could stay there for hours!!! Woweee!! You have some amazing sponsors!! I have fallen for Lil Red and Hello Darling!! Thanks for your review, very informative!! As of late Heather Jones Large Scale Patchwork Quilts has caught my eye. Thank you for the amazing giveaways! Hi Kelly, it's okay that you are "enabling" me:) I'll share it with all my quilty friends who made that same new years resolution. 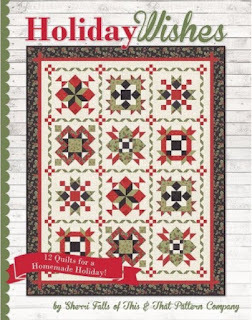 I really like the Holiday Wishes pattern book. I loved your ornament tutorial this past December. Any fabric from Cotton+Steel is welcome here, those 5 really have it going on. Thank you so much. 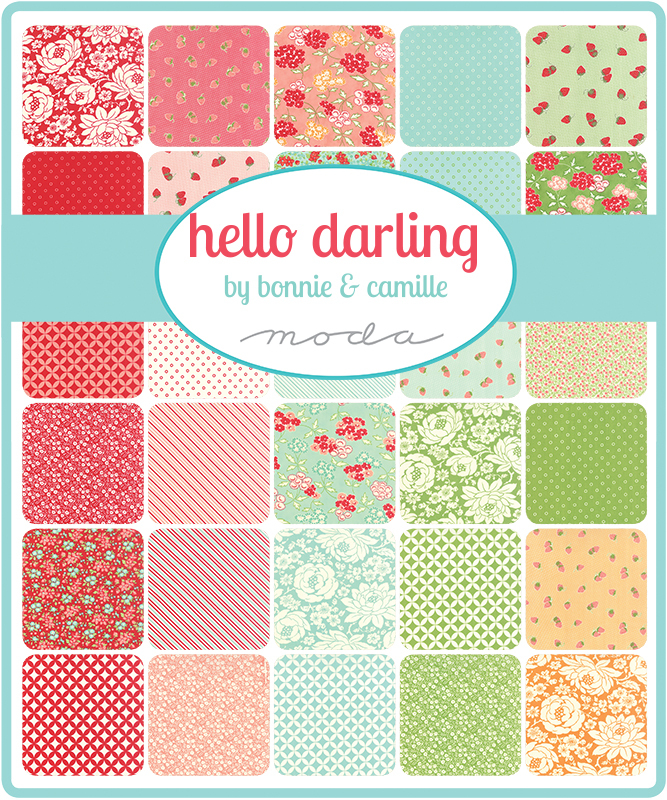 Love the fabric bundles offered and with all of those discounts with such goodness it's wonderful. Love those printed labels the most, it's something I've wanted to do for a while but sa yet am still sitting on the fence. Thanks for the goodies and info. YTB!! Wow, those Soho calicos look amazing. I'm trying to resist buying anymore fabric but I just love the teals - a color I DON'T need any more of in my stash but I just love that color! Thanks for the amazing giveaways! Thanks for all thhis useful information in one place. I especially like the labels! Hope I win! The Crossroads Quilt is beautiful! And LouLou's Farm Girl bundle is adorable. Thanks for all of the wonderful information! Hope to be lucky enough to win something- thanks for the opportunity! Love your blog. I need those labels. What a great idea! And I have a friend who would love the cat lady fabric! I thought I was keeping up on all the new fabric goodness, but I hadn't seen the Soho Calicos. Thanks for introducing me to these new "must haves". Should I say "thanks"? My wish list will thank you, that's for sure. Love Lil Red too! Thanks so much ! 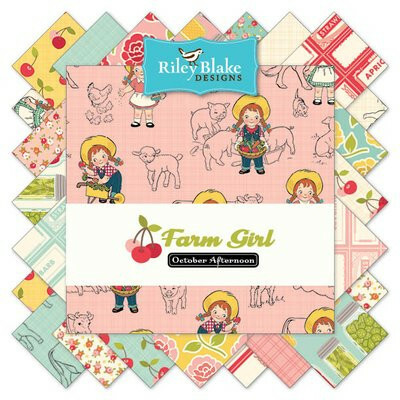 I love the farm girl line. How fun is that! Lil Red, Hello Darling, Strawberry Fields.... I am just drooling over them all!!! Hi Kelly. Thanks for sharing the good deals on all these fabulous fabrics! I love so many of them, but Lil Red really stole my heart! My email is sunshineintheattic@yahoo.com. 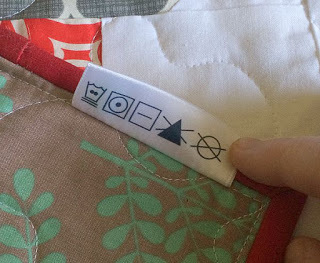 I'm loving your custom quilt labels with washing instructions. Thanks so much for the giveaway Kelly! Loads of temptation! Great deal on Aurifil, I love everything Lady Belle! I would love to create some labels - thank you for the chance! I love the soho calicos. Such beautiful colors! Thanks for the opportunity to enter the giveaways. I love the quilt labels, I really dislike making them for my quilts so this sounds like a simple and wonderful idea. Wow, thanks for the great shop reviews! they're all great but I am blown away by the labels from Finer Ribbon! What a wonderful idea, time saver & classy product! 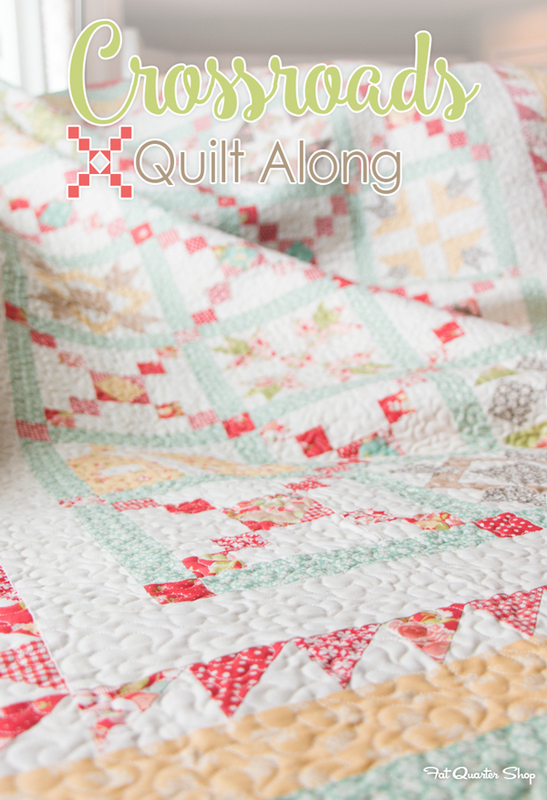 Love finding out about all the newest quilty things from your sponsors. And a great giveaway too. I enjoy your blog so much, thanks for sharing. I love your blog! And I'm loving Hello Darling. I am loving those labels! Thanks for the explanation and I appreciate that you showed them sewn into your quilt. Soho Calico really caught my eye with those great colours and prints. And I love your labels! I would LOVE to make the Crossroads quilt but I'm kinda broke right now ;) Awesomw giveaways!!! Thanks for the chance to win! 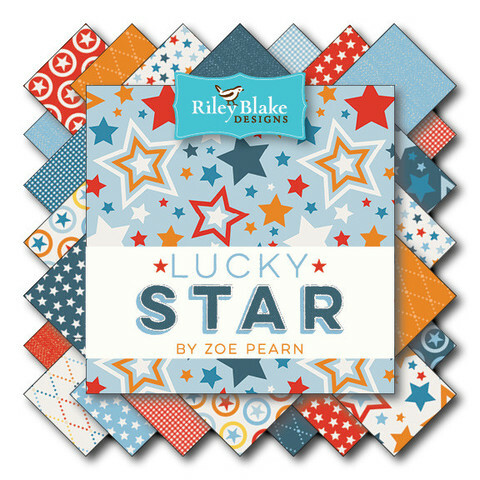 I really like the Soho Calico Sea Breeze bundle from Shabby Fabrics, I love that they separate fabric lines into colours. I really love the labels! They would be perfect for quilts and smaller projects like bags! The labels are what I'm coveting today and any of the fabrics would be nice. Thanks for the chance to win. I'd love to try those labels! The new C&S Cat Lady collection is next on my must have list. I always thought i would grow up to be a cat lady. Now im just a mom that likes cats. Thanks for everything! I love the new cat lady line! I really like the Lady Belle line although everything was beautiful. I just discovered your site and I love it!! All the links and availability to so much fabric at great prices! I am a very New quilter (less than 6 months) so all this information is awesome. I am really drooling over the SoHo Calicos. Saturday is my birthday so hope I win. Boy oh boy! If I were to win, I'd spend my gift certificate to the Fat Quarter Shop pretty quickly! Love the pre-printed labels-on-a-roll. This would make the final step in completing a quilt so much easier! love the SoHo Calico's-the colors are delicious! And labels - too cute. 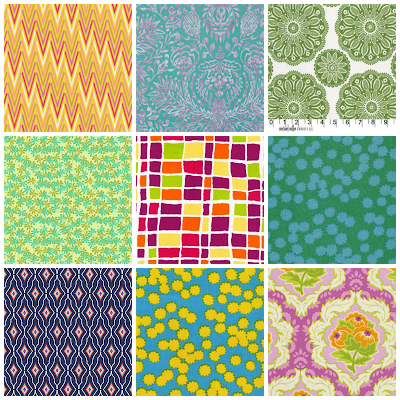 Thanks for sharing all these great fabric websites. Love your blog!